Thoughts | Jack Beaman | Historian/Author of The Shadow's Herald and The Drakvalka Saga. Book reviews, musings and the occasional rant land here. The mere fact that I read it straight off the back of The Daylight War speaks volumes. Not only that, but I finally fell for the Kindle App marketing. When I finished The Daylight War, the option to buy The Skull Throne came up, and despite having probably hundreds of other books to read, I went straight for it with only slight hesitation. In my view the unsatisfactory ending of The Daylight War was offset to a massive degree by the speedy resolution of the cliff-hanger ending. I was glad it wasn’t dangled for too long, as it would have been easy, and I think at this point almost cliched to do. Despite the length of the book, I also managed to read it in about two straight days. This again attests to just how good the plot was. I very much enjoyed the slight change of pace as this book progressed, enjoying the increasing focus on politicking, as I feel it truly came to the fore, on both side of the Daylight conflict, more so than any of the books so far in my opinion. Aside from that, aspects of the series remain strong, with Krasian society still being fascinating, perhaps all the more so due to the thorough exploration of it (from a variety of different perspectives). Finally, without wishing to spoil anything, suffice it to say, I wasn’t necessarily expecting some of the deaths which came late in the book. In hindsight I realise that with it being the fourth book of five it was inevitable, but such a realisation did nothing to decrease the grief I felt on the behalf of the characters, and I await The Core with eager anticipation. 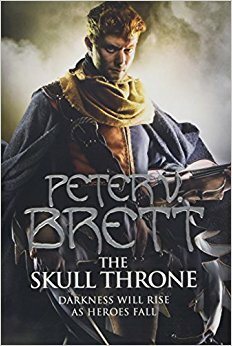 ‘The Skull Throne’, by Peter V. Brett is the fourth in The Demon Cycle. The Daylight War starts off exactly where The Desert Spear left off. As with The Desert Spear there are more interesting flashbacks which only serve to add depth to key characters, and give further insight into the fascinating Krasian society. The increasing depth of characters who are supposedly the ‘bad guys’ -for some reason I see the Krasians as the ‘bad guys’ despite often being able to empathise with them, possibly something to do with being introduced to the Hollowers first?- has added another layer of complexity and subplot to a story already epic in scope. I have found the exploration of Krasian society amazing, and am intrigued by the absolute nature of it. While I realise that the inspiration is Middle Eastern, it does also put me in mind of Mongol society too – very harsh but fair. As with The Desert Spear, I read through The Daylight War very quickly, and unfortunately found myself a little disappointed with the ending, which I felt seemed a little tacked on. My disappointment was a little offset by the fact that we got to see both focal points of the climactic battle though, so I can’t complain too much. Having since started The Skull Throne, it seems as though the two would have fit together very nicely as a single book. Having since finished The Skull Throne, I also realise it would have been unfeasible, due to the respective lengths of the two books, but I can’t help but feel there could have been a better cut-off point. My first book finished of 2017, and what a book! I loved The Way of Kings massively, and was worried that there was no way it could go but down. What I got blew me away however. The truly epic scope of the series really came to the fore, with new PoV characters (including a parshendi) being added. It was fascinating to see things from the point of view of the savage enemies of the first book, although I have to admit I was disappointed with the direction Eshonai’s story ultimately took. Another aspect I found really interesting was the idea of the Diagram, but for spoiler reasons I don’t really want to say more than that. The incredible care clearly taken over the design of the world means that there are almost too many subplots to count, and this means that, although the main plot may always be progressing at the speed I would’ve liked, there is always something happening, and invariably, they seem to matter more in the late stages of the book than I would have guessed. Having said this, perhaps what struck me most upon finishing the book and having a while to consider it, is the habit Sanderson has of coming at fantasy tropes slightly differently. All the main ones are present: the (un)likely hero; the big baddy; and the world-ending apocalypse, but they’re all slightly skewed, and they all seem to come at unexpected points in the series. I will finish this review by saying that, if this is book 2 of 10, I am incredibly excited (not to mention impatient) for the remainder of the series. 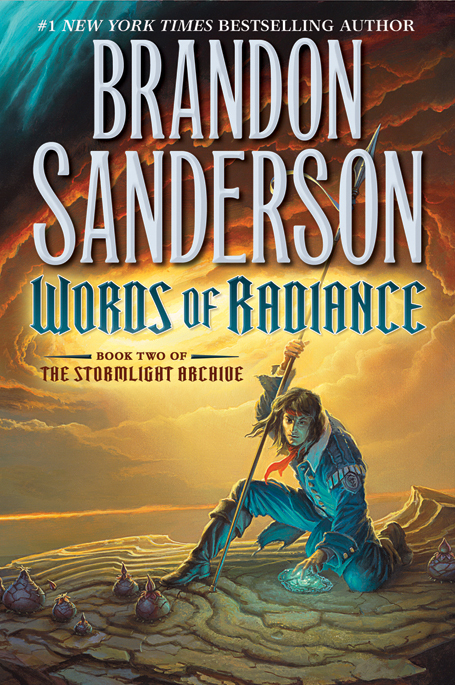 ‘Words of Radiance’, by Brandon Sanderson is the second in The Stormlight Archive. What I decided very early on was that I’m definitely not a fan of audiobooks, though I am willing to concede that this one is done well, with a female reader for the female PoV chapters and a male reader for all the male PoV chapters. While one might think this a superficial detail, I found it made the whole experience significantly more immersive. Having said that, it took a little while to get used to, and I found it a little jarring to begin with. Once I got used to it however, I found myself enjoying it, though there were a few instances of different pronunciations between readers. Having been introduced to Brandon Sanderson later (partly due to the end of The Wheel of Time, but also largely due to the desire to read The Stormlight Archive), I have by no means read all of his works, starting with the Mistborn Trilogy last year, before trying Elantris earlier this year. Both had a certain flavour to them, and while the subject matter was in places very dark and grim, I felt the overall tone was light and fun, and I suppose a little innocent. I think the best characterisation of how I personally feel about the books is that they came across a little more as YA (albeit incredibly dark YA) in style and tone. By contrast, I thought that The Way of Kings seemed considerably more mature, far darker (in perhaps a less obvious way), and far more cynical. As well as this, there was a lot more of an explicitly military focus, which I always love, and the scope was, as is common in Sanderson’s work, epic beyond belief. The plot gathered momentum like a tide, and I found the final battle and its immediate aftermath so gripping I listened to almost the last hour in a single go. I particularly enjoyed the numerous teases seeded throughout for the rest of the series. There is a lot to think about, and even more to be excited about for the coming series. 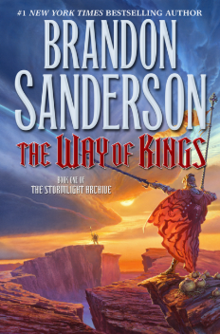 ‘The Way of Kings’, by Brandon Sanderson is the first in The Stormlight Archive. I moved almost straight onto this off the high of The Red Knight, and I’m thankful I did. I loved Cameron’s style. The technical language in particular really served to immerse me in what felt like a slightly grittier version of the classic King Arthur legends. Having studied the Byzantine Empire extensively I also massively enjoyed the exploration of Morea, particularly some of the characters. Count Zac is quite possibly one of my favourite characters in literature. He is by no means unique in terms of personality, but no other author has ever captured such a personality quite as well. As with the first book, the action sequences were fantastic, and placed at a frequency which I massively enjoyed. Once again, the immersive nature of the battle scenes are such that I don’t think I’ve ever encountered anyone who can quite write a battle scene like him. I’m not quite sure what it is about them, but the combination of detailed terminology, witty dialogue, and fantastic strategies and tactics combine to form gripping sequences. 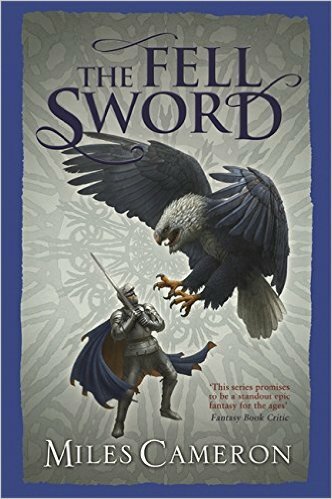 As for my main complaint with the first book: I found The Fell Sword to be considerably more self-contained than the first book, and I even think the end of the last book could have formed an interesting start to this one. ‘The Fell Sword’, by Miles Cameron, is the second in The Traitor Son Cycle. I’d heard great things about this book as one of the best standalone novels around. It took me a while to get to Brandon Sanderson as an author, but I eventually started with The Mistborn Trilogy, and loved it. Starting Elantris, I wasn’t quite sure what to expect. I found the premise interesting, and thought it was written in a very similar voice to all of the Mistborn books. I can’t quite put my finger on it, but the style is quite light and easy-going. 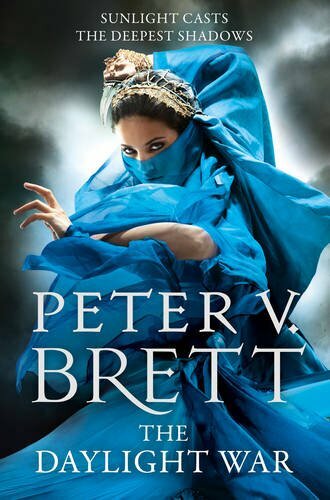 Unlike many other epic fantasy series, it doesn’t jump around too much in terms of PoV either, which represented a refreshing change, and significantly contributed to the simplicity of the book. This is not to say that the book is simple, as there is a great deal of politicking throughout the book, something I’m finding myself increasingly drawn to in fantasy books. I do have a few criticisms however, though most are understandable given the fact that the book’s a standalone. There is a lot of world-building and set up in the beginning of the book. While I recognise its necessity, it does mean it takes a while to get going. The characters are interesting and varied, but there are a few similar names, which confused me – this might be down to the fact that I was listening to them rather than reading them though. As well as this, and considering it is a standalone, there are several questions left unanswered at the end. To me it felt like he was intentionally leaving the door open in case he wanted to revisit the story. The result, to me, felt like somewhat of a cop-out – that he couldn’t commit to finishing it as completely as he might have. 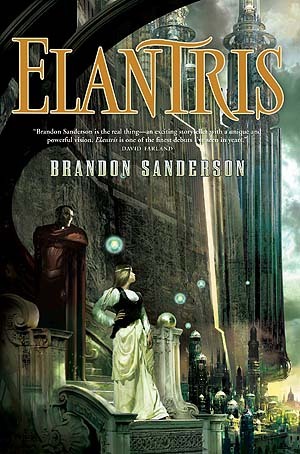 ‘Elantris’, by Brandon Sanderson is a standalone. Half a War constituted a great return to the series, and from initially not enjoying Scandinavian-inspired fantasy, I’ve found myself becoming a fan of it. No doubt this is largely a result of Abercrombie’s fantastic writing style, and the sheer brutality of the world. In a book filled with entertaining, bordering on hilarious, moments, the point at which you realise exactly what ‘elf weapons’ are is fantastic. Without wanting to give anything away, a Viking shieldwall advances against something it really shouldn’t. Abercrombie’s writing continues to be grimdark in the extreme, and I found myself revelling in Yarvi’s Machiavellian-style politics. The sheer cold brutality of his decision-making is enough to provoke goose-bumps at times. As with all of his writing, Abercrombie has dozens of twists, some of which are perhaps predictable, but most come out of nowhere. As usual, the dialogue is fantastic, and the plot includes good twists, brutal reality and gritty fight scenes. A highly enjoyable read. 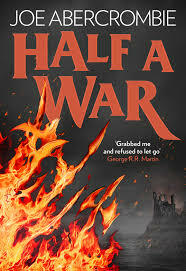 ‘Half a War’, by Joe Abercrombie is the third in the Shattered Sea Trilogy.